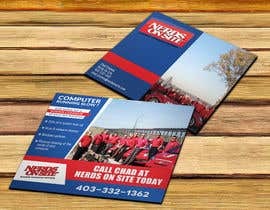 We would like a two-sided postcard-sized design for an unaddressed admail drop in Canada. Having used Freelancer's Design Contests before, we are excited to see the results of this campaign! This isn't a postcard in the traditional sense, but just post-card sized. The size should be 139mm x 107mm. The final design should be print-ready and print-quality. FRONT: Here is a text ad we recently run. Please use your imagination to rebuild this for a postcard sized brochure. Computer running slow? 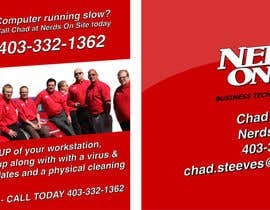 Call today for a SPRING CLEANUP of your workstation, and get 25% off a system tune-up along with with a virus & malware cleanup, Windows updates and a physical cleaning of the inside of your computer! 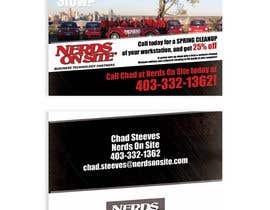 Call Chad at Nerds On Site today at 403-332-1362! Hi CH. Please see my entry #13. Thank you. Please do not include a postmark area or address area. This isn't meant as a postcard, but as a postcard sized flyer. Do you have the car picture itself only?